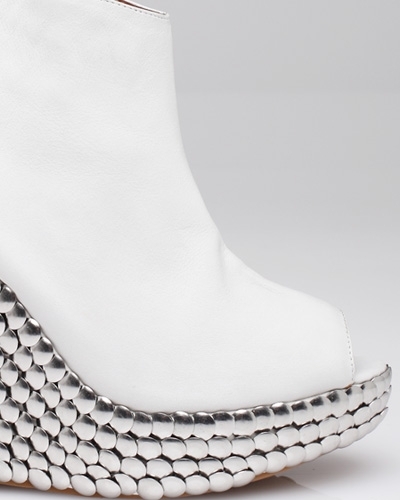 Style Notes | Let me just say ... Jeffrey Campbell blesses us shoe lovers with some amazingly unique footwear. 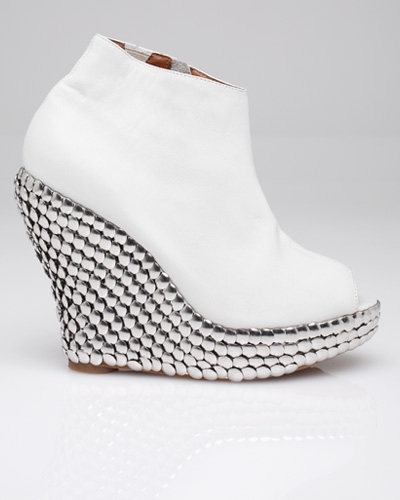 Without a doubt, this peep-toe platform wedge, also known as Tick In White, makes a fashion statement. Shop the look for $165.00.